I made scones for breakfast today. Inspired by watching a Julia Child Crêpes Suzette recipe recently, I also made an orange-citrus butter for a special topping. 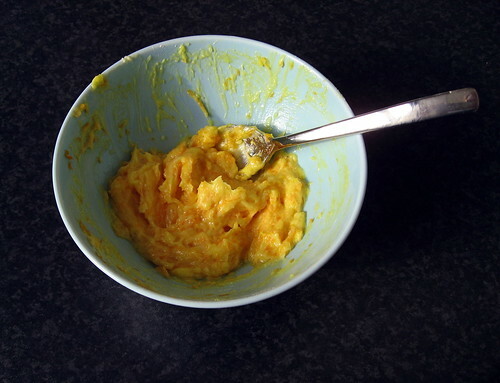 Mix all together until it forms a uniform paste. Mine was quite soft, but since it was going on warm scones, I figured it would go all melty anyhow. I'd probably use all icing sugar another time to try to make it a bit less soupy. You can make the butter while the scones bake, so it's really not that much of an extra effort. It was oh-so-yummy and felt very indulgent. home made butter? must try. 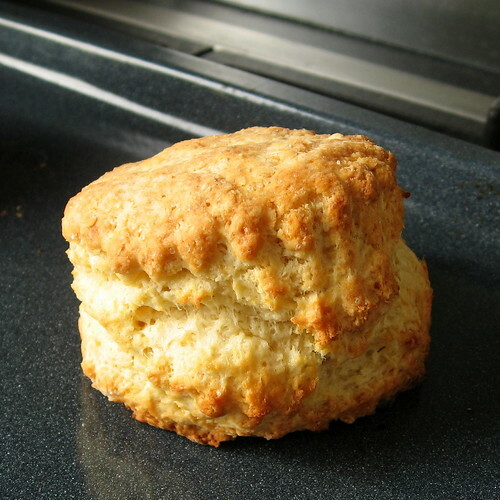 I've been making a lot of savory scones of late, similar recipe. 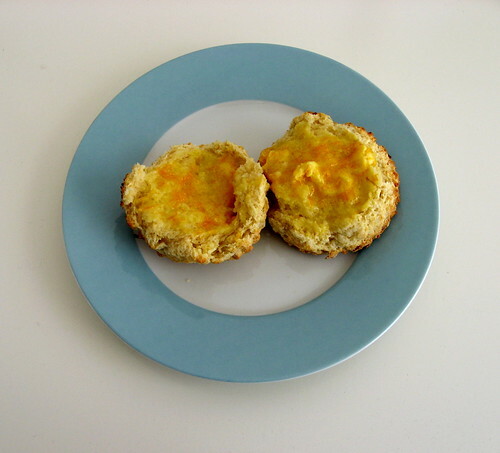 Take your basic scones, add some butter fried onions, ground mustard, cayenne pepper and about sharp cheddar cheese.